One of the biggest nights in online video making history is set to make its way to The Beverly Hilton on October 4th and yes, we’re talking about the phenomenal Streamy Awards! Ever since the Streamy Awards announced all of the spectacular nominees at this year’s award show, we all couldn’t contain our excitement for this renowned award show and we know that this year will be one of the biggest and greatest Streamy Awards yet, and to prove that, the Streamy Awards has just announced that the host for this year is none other than viral Vine and social media sensation, King Bach! 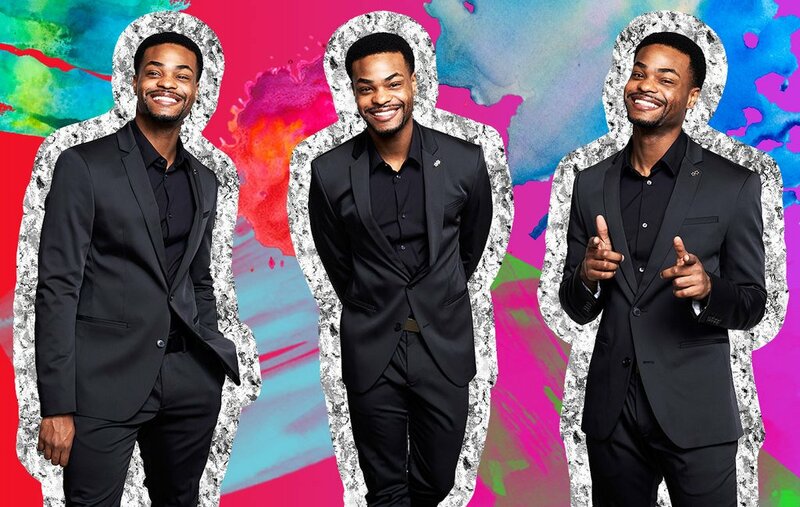 King Bach always brings so much energy everywhere he goes, so we know that he will be a perfect host for this year’s award show. In addition, the Streamy Awards also announced the nominees for the two fan-voted categories, “Entertainer of the Year” and “Show of the Year.” Now is YOUR chance to have your fave come home with a Streamy Award by voting from now up until 11:59 AM PT the day of the Streamy Awards on October 4th. You can vote up to 100 times a day on Streamys.org or on Twitter. To vote using Twitter, all you have to do is tweet the name of the nominee plus #Streamys and use the word vote, voting or voted. The nominees for “Entertainer of the Year” are Baby Ariel, Cameron Dallas, Casey Neistat, The Dolan Twins, Kian Lawley, Lilly Singh, Liza Koshy, Roman Atwood, Sky Does Minecraft, and Yousef Erakat. The nominees for “Show of the Year” are Camp Unplug, Daily Bumps, The Game Theorists, Good Mythical Morning, McJuggerNuggets’ Psycho Series, Miranda Sings, The Phillip DeFranco Show, Rooster Teeth, The Try Guys and The Young Turks. Here at Alexisjoyvipaccess.com, I’d like to send a big congratulations to all of the nominees of “Entertainer of the Year,” “Show of the Year” and the other categories at the Streamy Awards. Also, the Streamy Awards added on to all of the excitement by revealing who some of the presenters are at this year’s award show. Gabriel Conte, Philip DeFranco, Brittany Furlan, Gigi Gorgeous, Joey Graceffa, Grace Helbig, Jenna Marbles, Tyler Oakley, Lele Pons, Rhett & Link, Lilly Singh, Superfruit, The Try Guys, What’s Up Moms and more will be presenting at the award show according to the press release. So many sensational social media stars will be at the Streamy Awards and we can’t wait for all of the epic moments that will happen at the award show. Don’t forget to vote for who you want to see win “Entertainer of the Year” and “Show of the Year” at the Streamy Awards and be sure to tune in on October 4th at 9 PM ET / 6 PM PT for the incredible award show! Follow the Streamys on Twitter: @Streamys and join in on the conversation by using #Streamys! Check out my VIPAccessEXCLUSIVE coverage from the 6th Annual Streamy Awards Nominations Announcement event here! Previous Article: MTV Has A Lot Of Excitement Planned With “Teen Wolf” And “Sweet / Vicious” Panels At New York Comic Con! Next Article: When Is Jake Miller’s “Overnight” Music Video With Simone Biles Coming Out Because We Need To See It ASAP! Behind The Scenes Look Here!